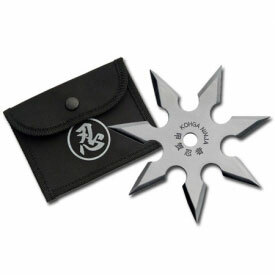 The Talon Throwing Star gets its name from the ripping claws of an eagle or hawk. 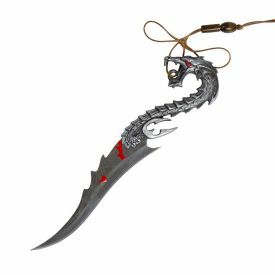 That's something nobody wants tearing through their flesh. 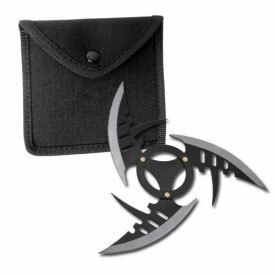 The three sharp points will not only remind you of a raptor's talons, but also of the many other kinds of shuriken that zoom through the air and pierce targets and people with aerodynamic efficiency and reckless abandon. This metal shuriken is made from 440 stainless steel and comes in either a shiny chrome or black color. 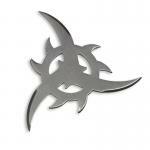 The 3.5" Japanese style fantasy shuriken is suitable for target throwing or display, that's how good looking it is! Measure apx. 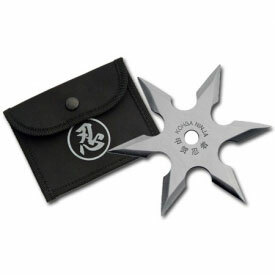 3 1/2" in diameter, and includes a durable nylon carrying sheath.